Google Nexus 7 fans in Japan have a reason to celebrate — The 7-inch tablet has now been officially launched in the land of the rising sun! 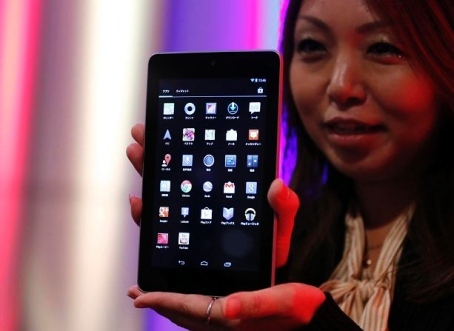 Customers in Japan will now be able to buy Google’s awesome yet affordable tablet from the Google Play Store. It will become available from Japanese retail stores starting October 2nd. As of the moment, only the 16 GB variant of the Google Nexus 7 is available and it will sell for 19,800 yen. That’s approximately $250 and is more or less the same what people in other countries are having to pay for it. While the device is already available in other Asian territories, such as Hong Kong, Malaysia, Singapore and Taiwan, Japan is the first Asian country to get an official launch. India could be next as there are rumors that Asus and Google are planning a November launch in that country. The Google Nexus 7, as its name implies, is a 7-inch tablet powered by an 1.3 GHz quad-core Cortex-A9 processor with 1 GB RAM and two storage size variants — an 8 GB model and a 16 GB version. The device is already running Android 4.1 Jelly Bean out of the box. You’ll need WiFi connection in order to access all of its features but there are rumors that a 3G version of the device will be released in the coming weeks. Do you have a Google Nexus 7? What’s your opinion about the device? Let us know in the comments below! UPDATE: The Google Nexus 7 is not yet available in Singapore. The Asus Singapore Facebook page lists the device as “coming soon” and promises that the official launch date will be announced “in a couple of days time.” We apologize for any confusion and would like to thank Tapscape readers for pointing this out to us.